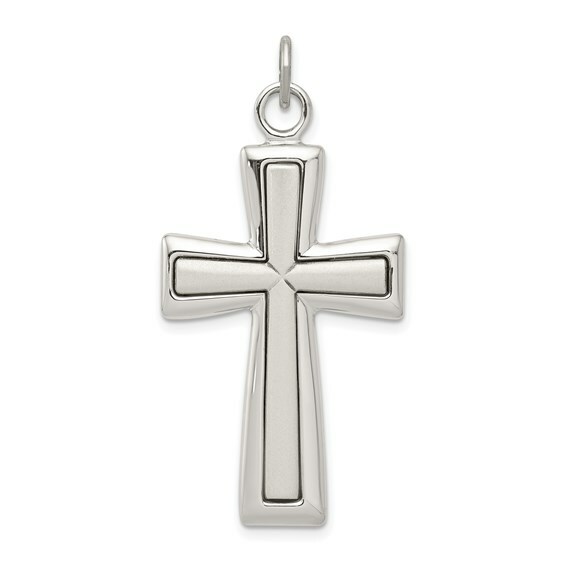 Sterling silver latin cross has a polished and brushed finish with antiquing. Measures 1 1/4 inch tall by 13/16 inch wide without bail. This item is slightly larger than a quarter. Weight: 5.59 grams. Made in the USA. Satin back.